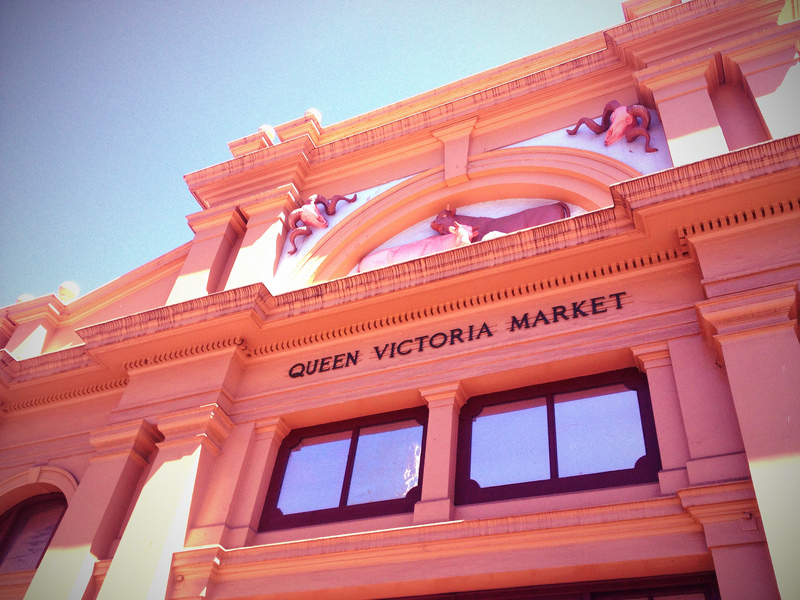 The Queen Victoria Market is a major landmark in the city of Melbourne in Australia. 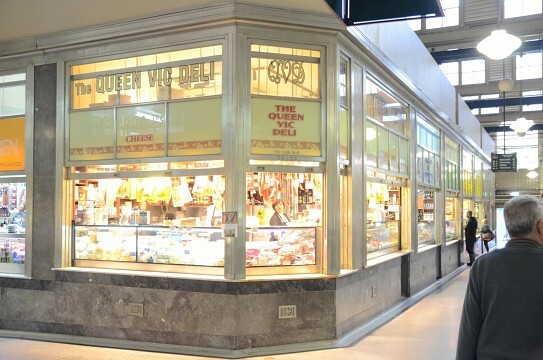 It is affectionately known as Queen Vic Markets, the Queen Vic, and, among the locals, as Vic Market. This huge, open-air market covers seven hectares, spread over two city blocks, and is in fact the biggest open-air market south of the equator. This bustling area has been the heart and soul of the city for more than a hundred years. Vendors sell everything from gourmet foods and locally grown fruit and vegetables to souvenirs and beauty products. The market was named after the British Queen Victoria who ruled the British Empire when the market came into existence. 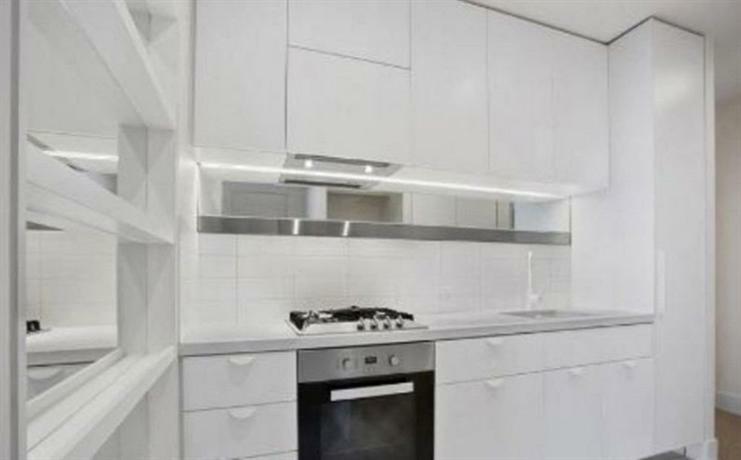 It is an historic landmark in Melbourne and is listed on the Victorian Heritage Register. The site of Queen Victoria Market has been a cemetery, cattle market, and fruit and vegetable market and has an interesting history. It all started in the 1850s as a small market in the east of the city. As the market expanded over time, space was made available by closing the old Melbourne cemetery. The closing of the cemetery were extremely controversial at the time, as approximately 10,000 people were buried there. Now, there remain about 9,000 people buried underneath the parking lot and shopping stalls of Queen Victoria Market. Therefore, this is a particularly popular place on Halloween. A memorial on the corner of Therry and Queen Streets makes sure that those people aren't forgotten. 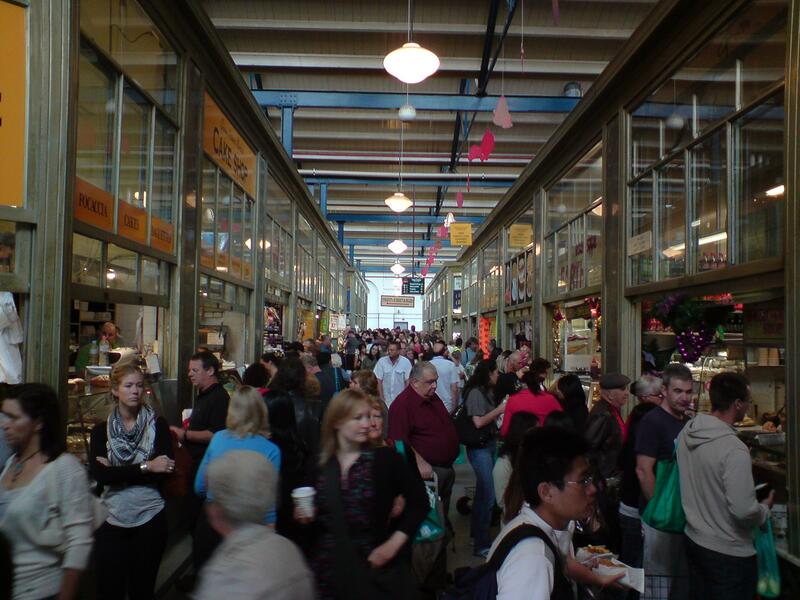 Officially opened in 1878, the market was originally only a fruit and vegetable market. It also became a retail market in 1969. 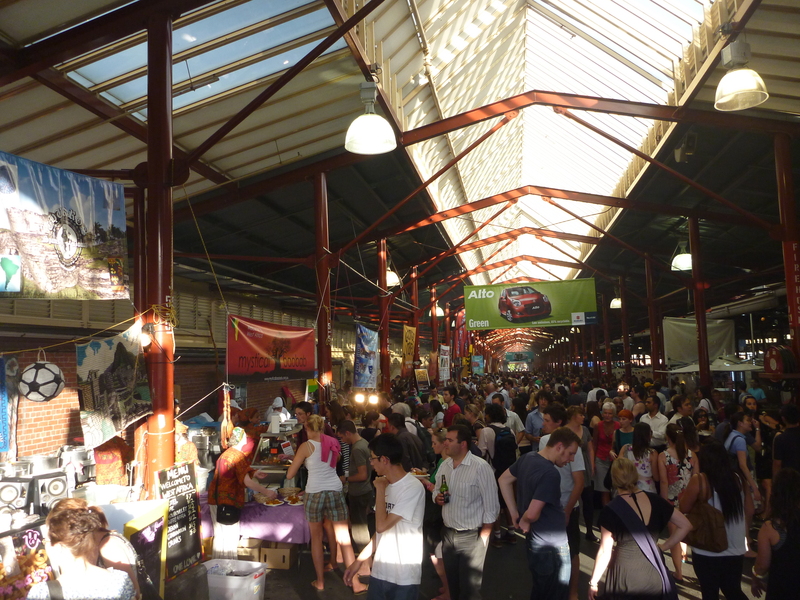 In the 1990s, Queen Victoria Market was a place where pirated goods were traded. The market’s reputation was cleaned up after a police intervention in 1997. 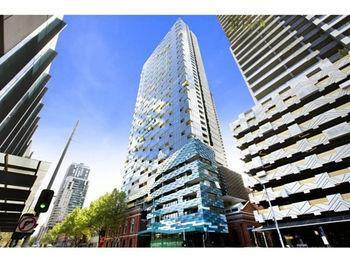 Melbourne has always been a market city. As early as 1842 a city council was established to manage all the markets in the city; there were that many. The first official fruit and vegetable market was the Western Market, which was established only six years after settlement by the Europeans. 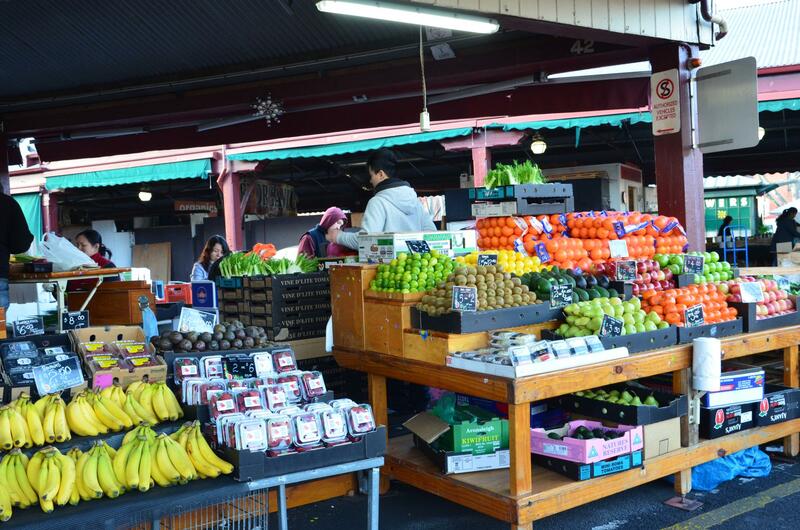 As Melbourne expanded to the east, a new market was opened: the aptly named Eastern Market. This new market caused the decline of the older Western Market. There were a few other markets in the city as well, such Hay Market, Upper Market, and Lower Market. However, all of them disappeared and got replaced by buildings and a square. 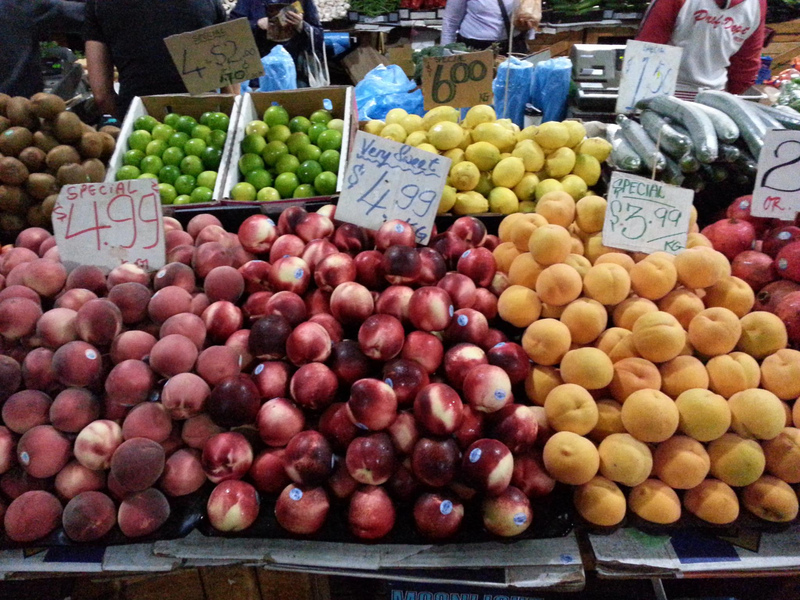 The only remaining market today is Queen Victoria Market. The address of Queen Victoria Market is 65-159 Victoria Street. The market is opened five days a week, on Tuesday and from Thursday to Sunday. Sunday is the busiest day of the week, with large crowds that are being entertained by street performers and artists. Queen Victoria Market can easily be reached with public transport. Melbourne is famous for its trams and visitors can get to the market on any tram heading north along Elizabeth Street and William Street. When traveling by train, the market can be reached by walking a short distance from both Flagstaff Station and Melbourne Central. Again, north along Elizabeth Street or William Street. There are lots of facilities in the area, including bicycle racks, a parking lot; café, bus parking; public toilets, and public phones. Of course, there are countless places to grab a bite to eat or have a drink. 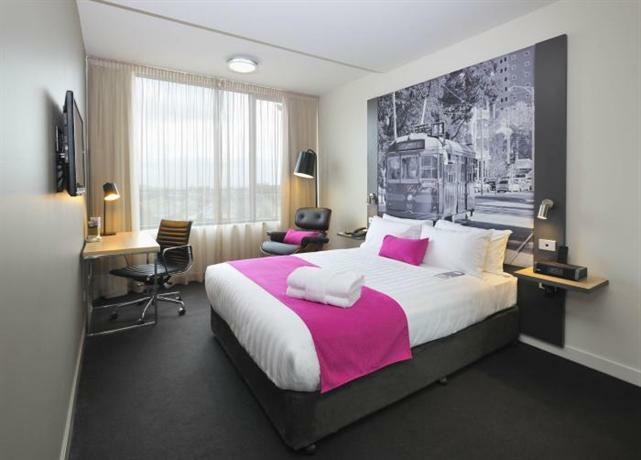 It is a major landmark in the city and visiting Melbourne isn’t complete without a visit. 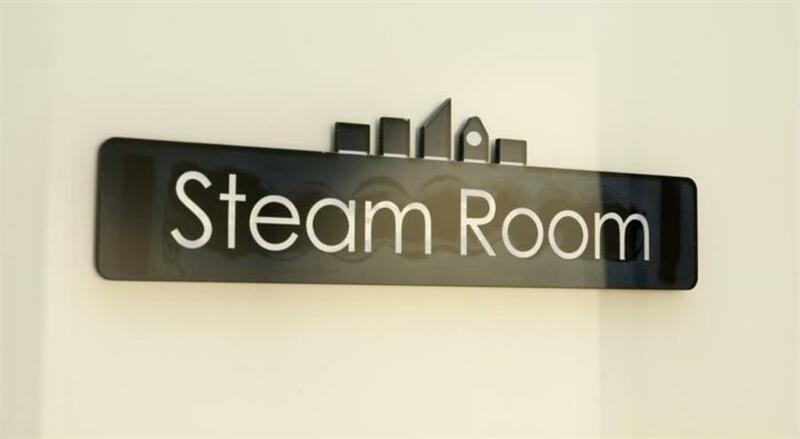 Goods on offer are seafood, meat and poultry; fresh fruit and vegetables, deli and gourmet foods and delicacies; but also a wide range of non-food items, such as clothes, jewelry; electronics, art; crafts and souvenirs. Different goods are sold in designated sections. The Deli Hall, also known as the Dairy Produce Hall, is where locals and tourist can buy things like dips, preserved and cured meats, patés and cheeses. Other vendors sell pastries, nougat, chocolate and/or cakes. This is also where chicken can be bought, as well as other meats such as crocodile, venison, kangaroo and rabbit. The Meat Hall is home to specialized meats like sausages, processed meat and specialty cuts. This hall also has a large seafood section where fresh fish, crustaceans and fillets can be purchased. Other sections are the Fruit and Vegs, and Organics. 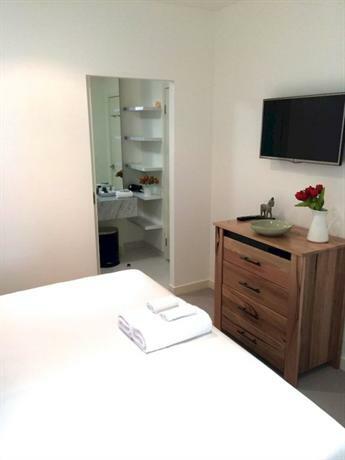 There visitors can buy Australian and foreign fruits and vegetables, delicatessen, breads, yogurts, cheeses, eggs and different kinds of coffees. 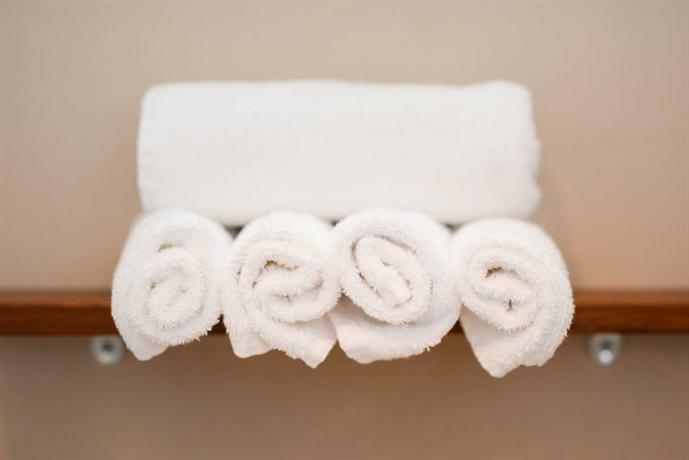 A completely different section is the General Merchandise market, where goods such as CDs, phones, souvenirs, art, leather, fabrics, clothes, shoes, jewelry, and so on, are sold. Even more shops and stalls can be found on Victoria Street, Elizabeth Street and F Shed Laneway. The Vic Market Food Court offers all kinds of take-away foods. It is heated and has seating for 400 people. 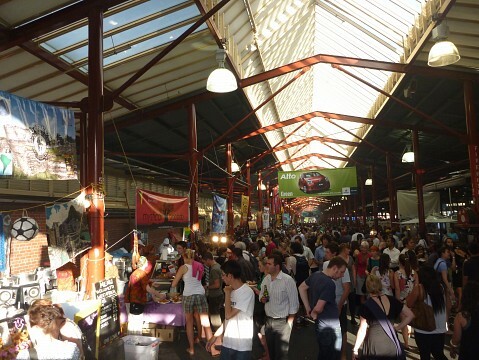 Other large similar markets in other parts of the world are the Borough Market in London and the English Market in Cork, Ireland. In Australia there is the large Paddy’s Market in Sydney.